Fantastic large 1920s vintage glass hip flask. 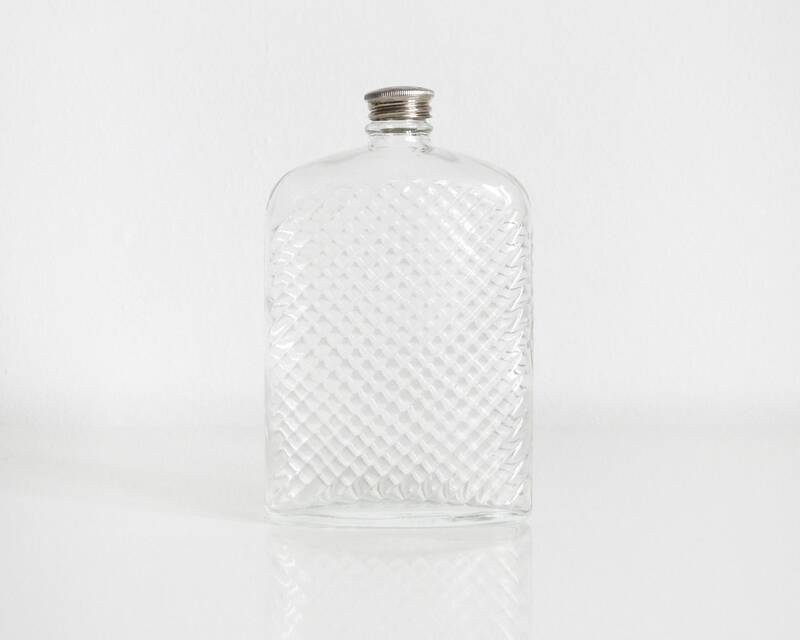 This Prohibition era flask is made from thick cut glass with an art deco diagonal grid pattern. Silver colored metal screw top. Stamped "Universal PAT D Feb 8 1927" on the bottom. No chips or cracks in the glass. Flask does not leak. There is a dent on the screw top, but it still screws on tightly. This listing is for one flask only. The flask with the red dot in the last picture is just a representation of the the size of the flask, and not the actual flask for sale. Interested in a medium size flask?